Fresh Crème Ancienne Soft Cream, 1.0 oz. 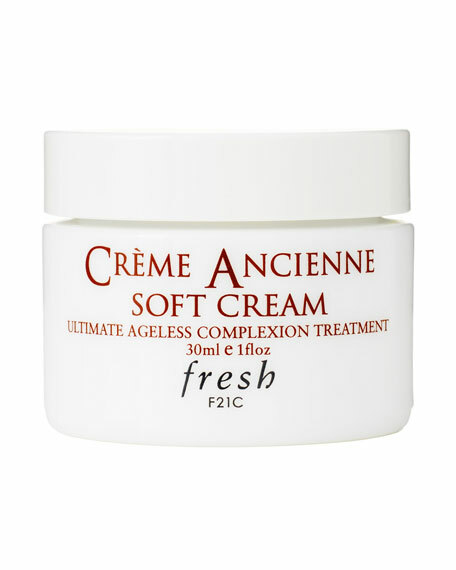 FreshCrème Ancienne Soft Cream, 1.0 oz. Fresh Cème Ancienne Soft Cream is a weightless moisturizer that delivers the supreme nourishment that the original Crème Ancient is known for with a new velvety whipped texture. Proven to visibly reduce the signs of aging while providing 24-hour moisture, this innovative formula absorbs quickly to promote a youthful-looking complexion. Echinacea extract helps to improve the skin's resilience to environmental aggressors* and promote a radiant glow.